We manufacture, export and supply a wide range of AC Capacitors that is manufactured in accordance with the industry standards. 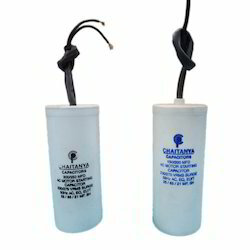 These capacitors are capable of cycling the motor on and off instantly. Made available in numerous specifications, the offered series is appreciated for its enhanced performance and longer operational life. Looking for AC Capacitors ?